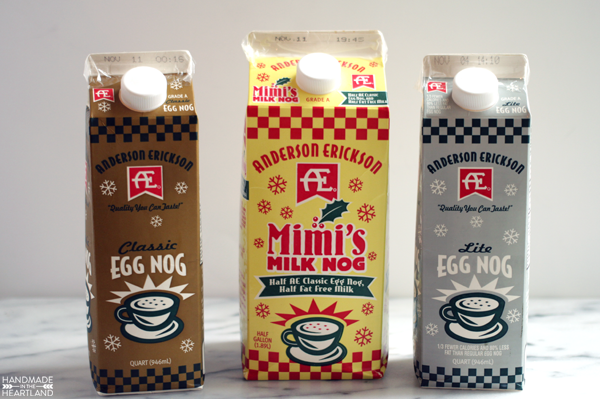 So here is my public service announcement for the day: AE Egg Nog is at the grocery store friends, go and get it! And if you don’t slurp it all down in the first few hours you can whip up this super easy and delicious Egg Nog cinnamon bread. I have a confession to make, up until a few weeks ago I had never tasted Egg Nog. My husband was completely flabbergasted and honestly I don’t know why I had been afraid to try it. Its basically Christmas in your mouth. It may help that my first taste of Egg Nog was what many think of as the best possible version of Egg Nog on the market- AE Classic Egg Nog. Matt tried it last Christmas season and was a total convert. When I told him I was going to be partnering with AE this year on the blog the first thing he said was “their Egg Nog is amazing”. 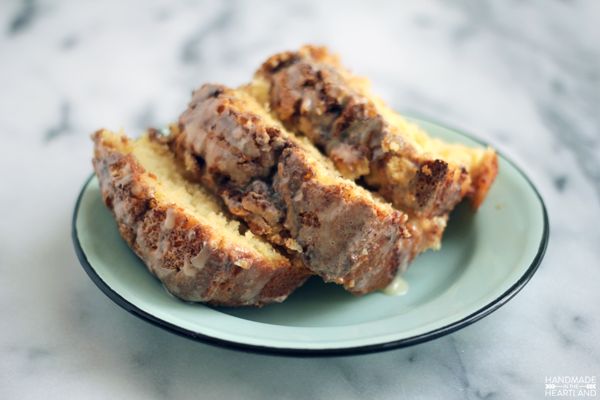 There are 3 parts to this recipe: the basic bread dough, the swirl topping, and the glaze. Its going to be the perfect addition to your Christmas morning table or something sweet to comfort house guests as they stay up late and chat around your kitchen during the holidays. 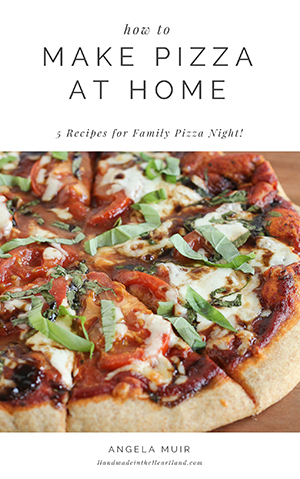 It doesn’t take long to make and as it cooks your house smells heavenly. 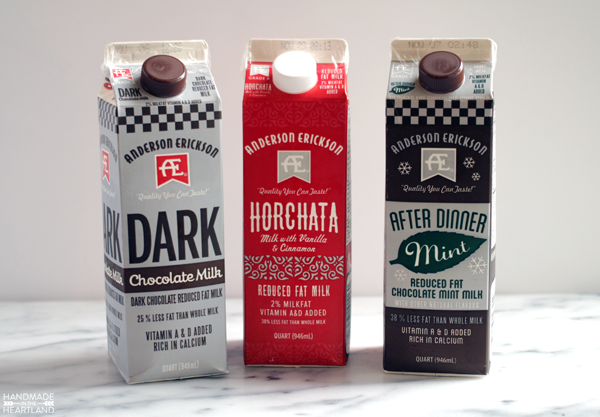 What is your favorite thing to do with Egg Nog? I’ve been brainstorming all kinds of goodies to make with this liquid Christmas and I’d love to hear your family traditions and recipes. Share them with me in the comments or on Facebook or Instagram. 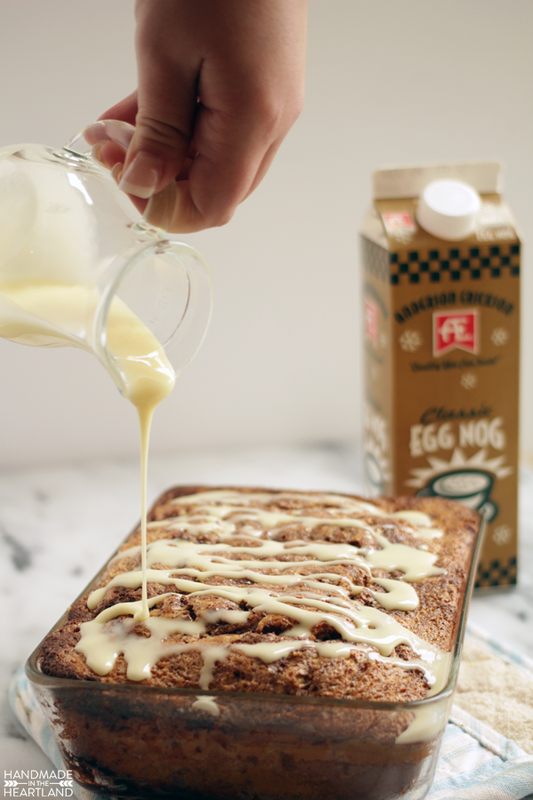 If you make this Egg Nog Cinnamon Bread please tag me on Instagram, it makes me SO happy to see you creating and enjoying recipes from the blog. 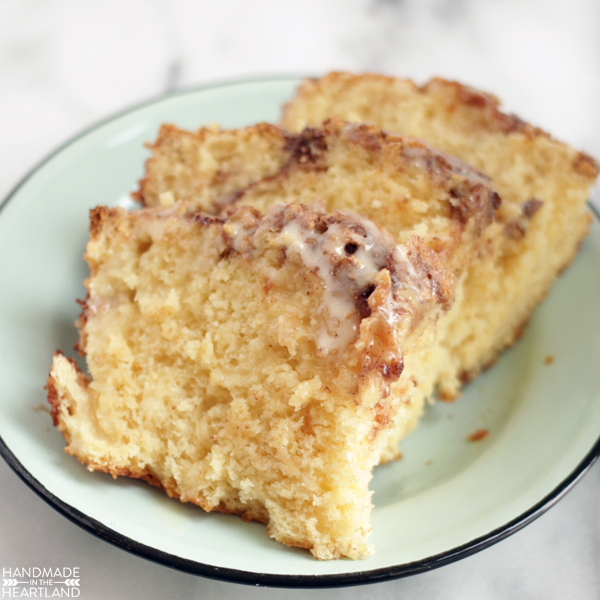 Serve it up warm Christmas morning or for an evening snack for Holiday guests, no matter when you eat it this Egg Nog Cinnamon bread will be a new favorite recipe! 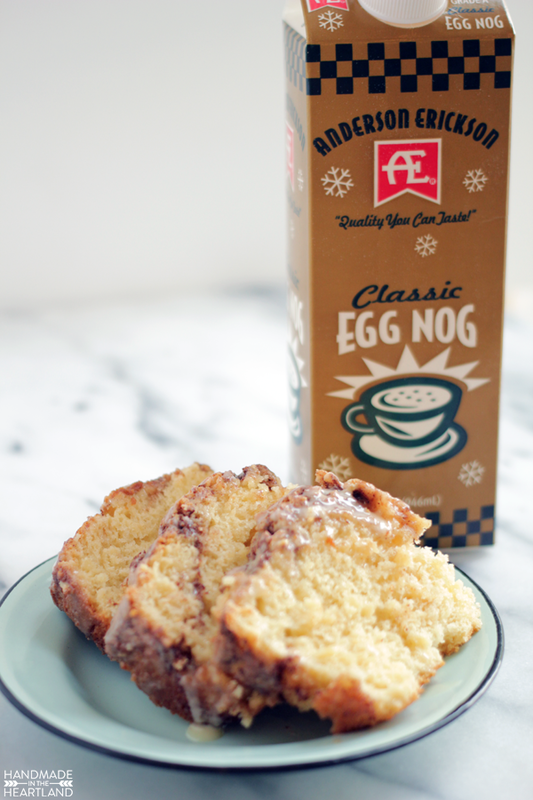 A delicious holiday recipe, this egg nog cinnamon bread is a delicious breakfast, dessert or snack! Meanwhile, make the glaze ingredients by combining 1/2 cup powdered sugar with 1 tablespoon AE Classic Egg Nog. When the bread has cooled, pour the glaze over the top and serve. Enjoy!. Speaking of Egg Nog and Holiday drinks AE has so many specialty drinks out this year including the Classic Egg Nog I used to make this bread, Lite Egg Nog, Milk Nog (which is 1/2 Egg Nog & 1/2 Milk), Dark Chocolate Milk, Horchata (A cinnamon & vanilla milk), and my personal favorite the After Dinner Mint Chocolate Milk. Yum! This is a sponsored conversation written by me on behalf of AE Dairy via RhythmOne. The opinions and text are all mine.